"тахь" and "хулан" in Mongolian Gobi. Equus ferus przewalskii, Mongolian: Тахь, Takhi) or Dzungarian horse, is a rare and endangered subspecies of wild horse (Equus ferus) native to the steppes of central Asia, specifically Mongolia. 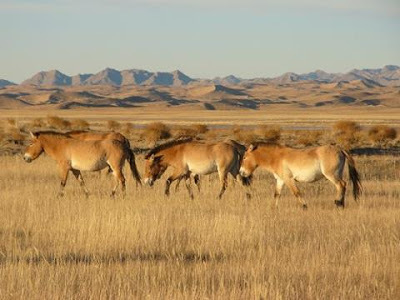 At one time extinct in the wild (in Mongolia, the last wild Przewalski's horses had been seen in 1966), it has been reintroduced to its native habitat in Mongolia at the Khustain Nuruu National Park, Takhin Tal Nature Reserve, and Khomiin Tal. The taxonomic position is still debated, and some taxonomists treat Przewalski's horse as a species, Equus przewalskii. 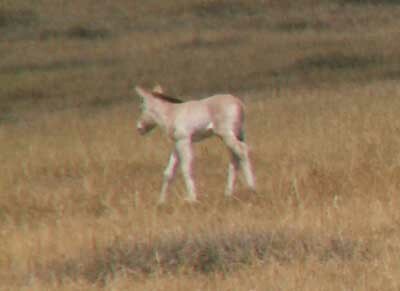 Common names for this equine include Asian wild horse, Przewalski's Wild Horse, Mongolian wild horse, and Tahki. Historical but obsolete names include true tarpan and Mongolian tarpan. The horse is named after the Russian geographer and explorer Nikolai Przhevalsky. 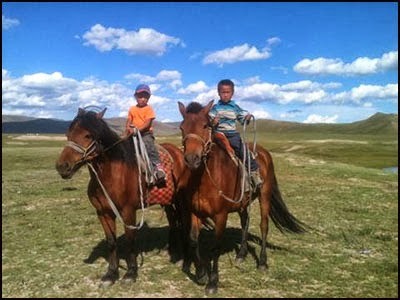 Mongolian children, especially boys ride horse from age 5 and they herd their animals too. 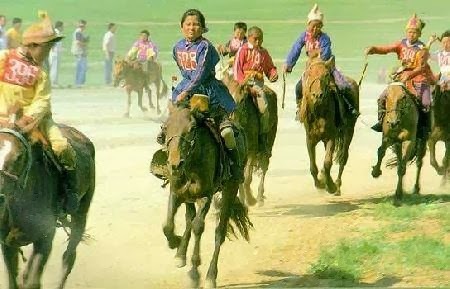 Also horse is the closest friend of Mongolian man. is a traditional festival in Mongolia. The festival is also locally termed "eriin gurvan naadam" (эрийн гурван наадам) "the three games of men". The games are Mongolian wrestling, horse racing and archery and are held throughout the country during midsummer. Women have started participating in the archery and girls in the horse-racing games, but not in Mongolian wrestling. ***** . Animals of Mongolia . ***** . Eight Horses of Happiness .